There are many more security risks on your computer than ever. In the past we only had to worry about viruses. 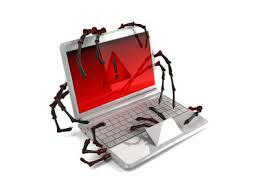 Now there are viruses, trojans, rootkits, zombies etc. However, with just a few simple steps you can prevent 90% of the threats facing most users today. These steps including operating without admin rights and staying clear of unknown or pirated software. These steps are detailed below. Make sure that your everyday account on the computer does not have admin rights. Admin rights are only needed when changes are being made to the computer. Instead create a separate account that does have admin rights and use that whenever you need to install software or make a change. On Windows and Mac OSX,the computer will popup a request for admin rights if the running user does not have them. This prevents most malicious payloads from executing on your computer without your knowledge. If the need arises to run or test software from an unknown party, make sure that you first check if there are any known issues with that software. Then if possible do not install it in your standard profile. Use a hypervisor like Hyper-V and run another instance of your OS only to run applications you are unsure of. This is another often used vector for infecting computers.